Faith: A boy confronted with a monumental shift in what he once considered "normal", Connor [Lewis MacDougall] will stand tallest when atop the shoulders of The Monster [Liam Neeson]. Mom: Felicity Jones stars in J.A. Bayona's A Monster Calls. Determination: Connor [Lewis MacDougall] and The Monster [Liam Neeson]. Change: Struggling to understand one another, love must carry Connor [Lewis MacDougall] and his Grandma [Sigourney Weaver] to a place of comfort. Connor: In just his second on-screen role, young Lewis MacDougall portrays Connor - a boy determined not to lose his mother. Illustrated: Connor [Lewis MacDougall] brings his imagination to life on paper. Life: Director J.A. Bayona brings Patrick Ness' novel A Monster Calls to life with beautiful, signature scenes lensed by cinematographer Fernando Velázquez. Origin: J.A. Bayona directs A Monster Calls from a script by the novel's author Patrick Ness. The novel was awarded 2012's Carnegie and Greenaway Medals. Escape: No matter the level of fear, anger or confusion, Connor [Lewis MacDougall] is able to find comfort with his pencils, pens and brushes. "If Bayona is the Next Steven Spielberg, then A MONSTER CALLS is his E.T." "One of the best movies of the year." Patrick Ness' words come to life with narration and visuals from the film. One of the best movies of the year. The role of Conor is a very demanding one, physically and emotionally. Lewis was so courageous, so present, so truthful. MacDougall is fantastic in what should be considered an Academy Award-worthy performance. 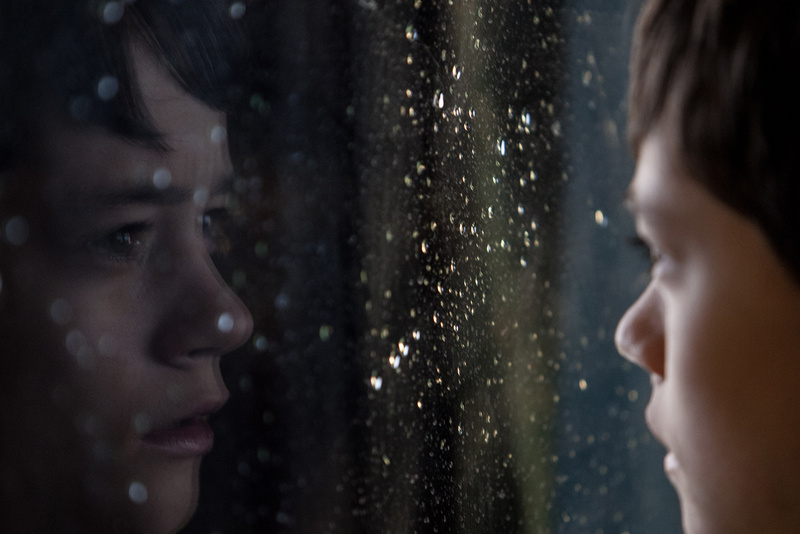 If Bayona is the next Steven Spielberg, then A Monster Calls is his E.T. Felicity Jones is absolutely devastating. Photo | Connor: In just his second on-screen role, young Lewis MacDougall portrays Connor - a boy determined not to lose his mother. And if you need to break things, then by God, you break them good and hard. And I'll be right there. You might not see me, but I'll be right there, breaking 'em along with you. Photo | Faith: A boy confronted with a monumental shift in what he once considered "normal", Connor [Lewis MacDougall] will stand tallest when atop the shoulders of The Monster [Liam Neeson]. One of the best films of 2016. I saw this as a powerful and important story to tell as a movie – an adventure that anyone can relate to. Photo | Life: Director J.A. Bayona brings Patrick Ness' novel A Monster Calls to life with beautiful, signature scenes lensed by cinematographer Fernando Velázquez. J.A. Bayona's A Monster Calls is a masterpiece. Photo | Origin: J.A. Bayona directs A Monster Calls from a script by the novel's author Patrick Ness. The novel was awarded 2012's Carnegie and Greenaway Medals. Belief is half of all healing. Belief in the cure, belief in the future that awaits. Your belief is valuable, so you must be careful where you put it. And in whom.